At the launch of the newest chocolate experience from Mondelez Philippines, Cadbury 5Star dares to break out of your comfort zone. One bite of this velvety chocolate, gooey caramel, soft chocolate-y center, and crispy biscuit bits will make you want to break out from your comfort zone. Every time you open a Cadbury 5star chocolate bar, you will find a certain dare to act on. 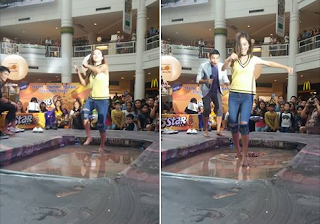 Each ambassador has done their fair share of dares during the 5Star launch! The 5Star Ambassadors gamely took on the challenges. Actor, Alex Diaz, VJ Robi Domingo, and lifestyle blogger, Arisse de Santos exemplify the adventurous and go-getter young millennials of today. 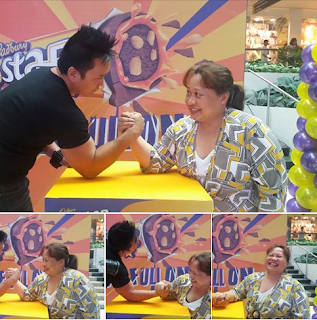 Arisse de Santos had her chocolate-y breakthrough challenging the big guy to a game of arm-wrestling. 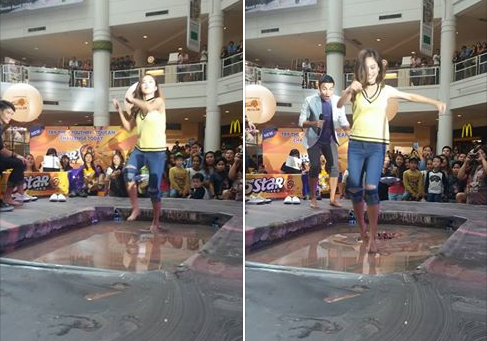 The boys on the other hand, gamely walked on chocolate milk doing the "running man" challenge! 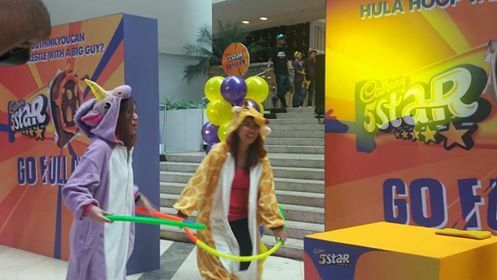 Mondelez Philippines Chocolate Brand Manager Arlene Amante said, "We see our Brand Ambassadors as energetic young millenials. They're active, confident, and they live their lives to the fullest. Making them true ambassadors of the Cadbury 5Star spirit of #YouThinkYouCan advocacy. 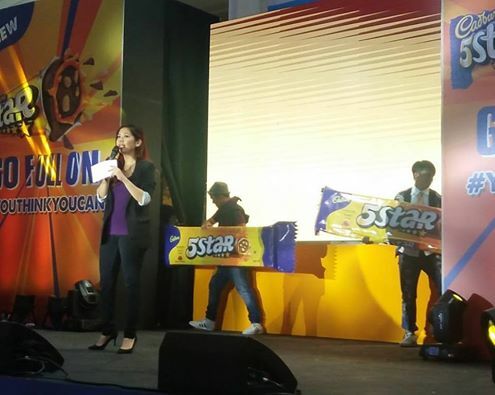 This advocacy is a call to make the most of every moment, to be empowered to do what you love through Cadbury 5Star." Life never has to be the same. You should expect no less from your chocolate bar. Have a Cadbury 5Star and let the world be your playing ground.